Today was the first day of visiting the battlefields of the Second World War. 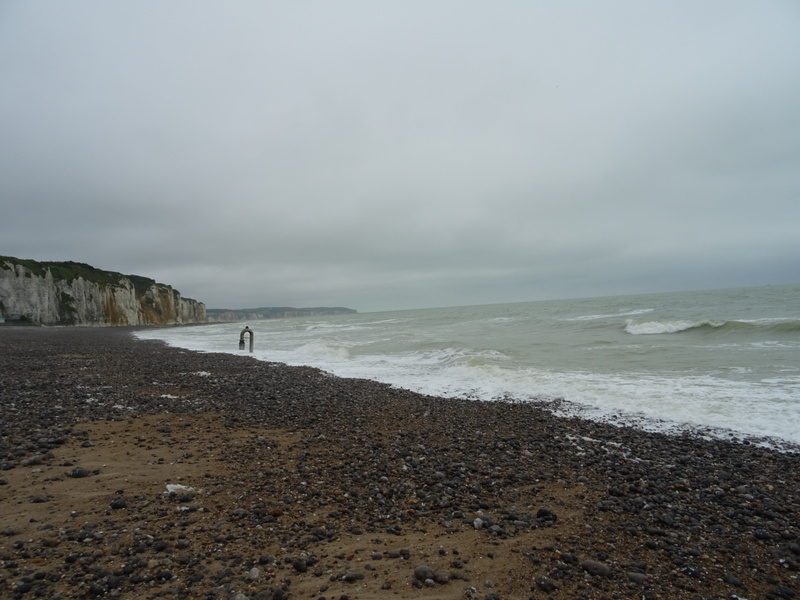 We went to Dieppe, Puys, and Pourville, where five of us gave presentations. It was a good drive out to the shore – our van played anything from Adele to Johnny Cash, with a short coffee break in between. 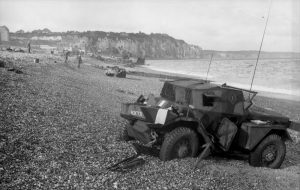 It was really exciting to see Dieppe – I had read and learned so much about it before, and now I was finally able to see it for myself and put the final pieces together in my ability to understand what happened during the raid. Although there were no towering monuments besides some plaques and small statues,the battlefield felt a lot closer today, because the beaches were still there, right under our feet as we stumbled along the coast. I could almost see where the soldiers stood. The pictures I had seen in books and online matched what I saw on the beach today. I think that shows how important it is to see the places in which history happened. It certainly helped me to understand and visualize the Dieppe Raid. 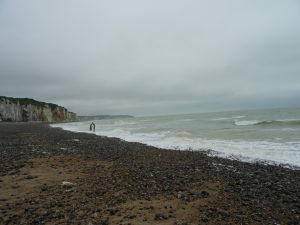 At Puys, I came to understand why it was nearly impossible to get off the beach that day. It was so narrow, and the cliffs so tall, the Canadians truly faced insurmountable odds at that time. I couldn’t imagine being one of the Canadians on that beach. I was excited to find out I would be able to do my presentation on Green Beach today as well. I had put a lot of effort into understanding those events with the South Saskatchewans and the Cameron Highlanders. What once held a brutal battlefield with pill boxes and fortifications now houses a quaint town and a bakery that sells the best Éclair I’ve ever had. I could still see the river, the beach, and the hills that the men faced during the raid. To me, a visual learner, it was so powerful to stand over 70 years later where the men fought for their lives, and Merritt earned his VC.